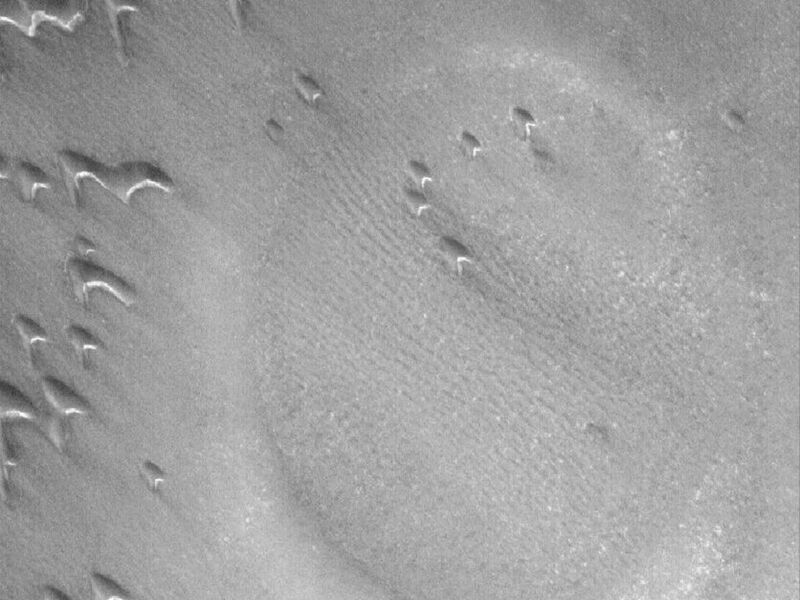 This Mars Global Surveyor (MGS) Mars Orbiter Camera (MOC) image shows a partially-buried crater in the north polar region of Mars. 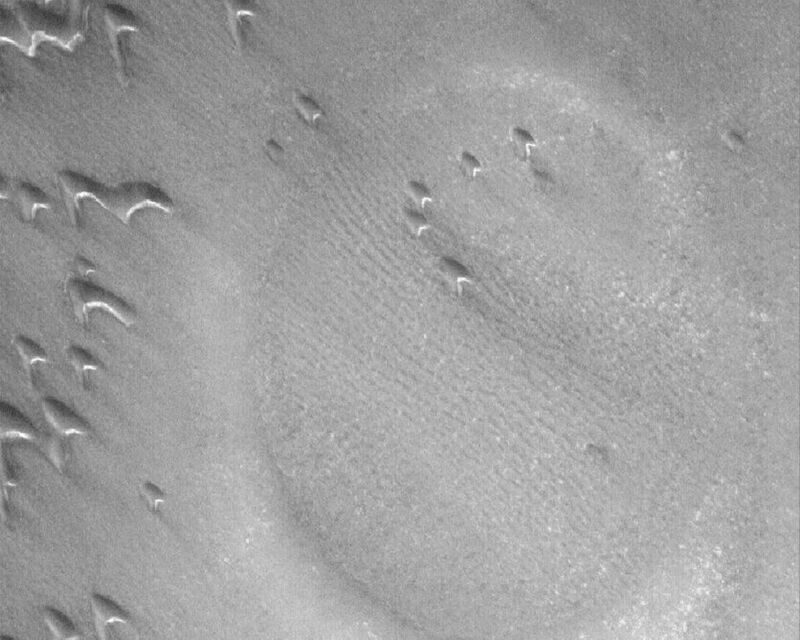 The circular feature is surrounded and partly overlain by some of the many, many sand dunes in the area. 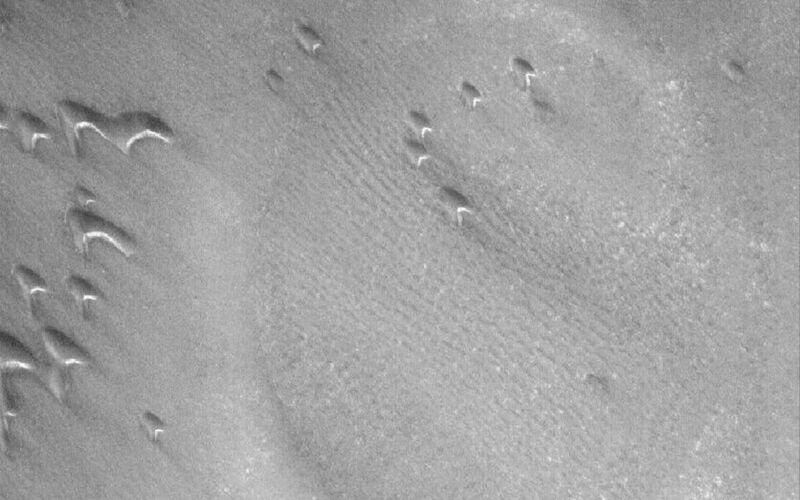 The steepest slopes on each dune -- their slip faces -- face toward the southeast (lower right), indicating that the dominant winds responsible for sand transport in this region come from the northwest (upper left). In summer, the dunes in this scene would be darker than their surroundings, but in this northern springtime image, the dunes and everything else in the area are covered by carbon dioxide frost. The frost is left over from the winter which ended in January 2006.